Hello everybody! It's time to announce the April winner of our Challenge, Top Three and Design Team Member Special Mention. Are you sitting comfortably? Then let's begin! Congratulations, Toni! Your winner's badge and voucher will be on their way to you shortly, and we hope you'll join us a Guest Designer here at Country View Challenges in the future. Hello dear followers, today it´s time to choose the winners of our April challenge! Although there were not as many entries as in the challenges before, the ones who through in their hat did a really fantastic job! It was hard to pick out only three of them! Evelyn said: Laneen created a gorgeous male layout in a grunge style. 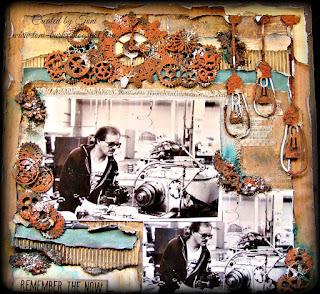 The rusty bits and bobs are fitting perfect to the vintage photo of James Dean! Evelyn said: Love this book cover to bits! I would love to touch the surface with all it´s texture. The rust is looking so very elegant here and the blue night sky pops out beautifully. Evelyn said: Another gorgeous layout with loads of rust goodness! There are so many fabulous details, you nearly can´t stop looking at. The photo of the "machine man" rounds off the overall picture. 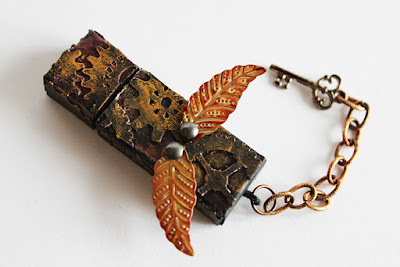 Evelyn said: What a fabulous and unique idea to alter an USB stick! 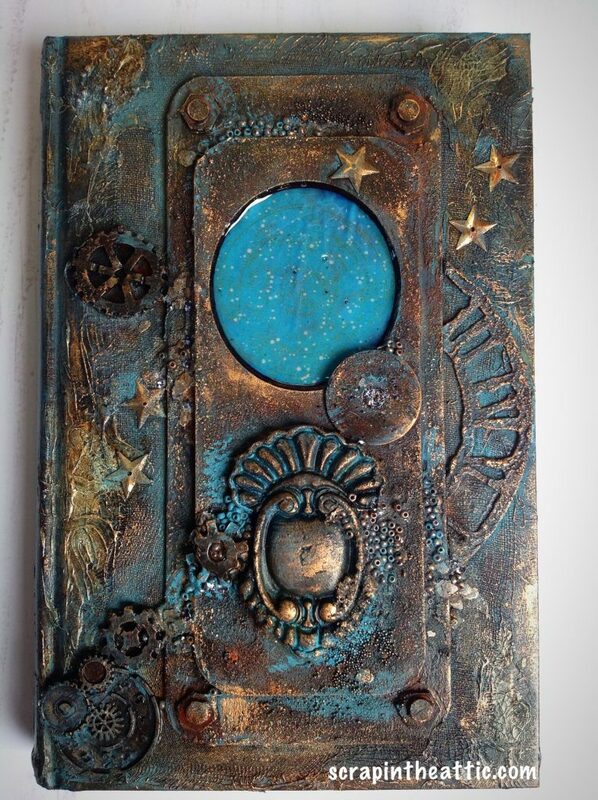 Lys created an absolutely stunning tiny little piece of art with gorgeous rustiness. Love it! 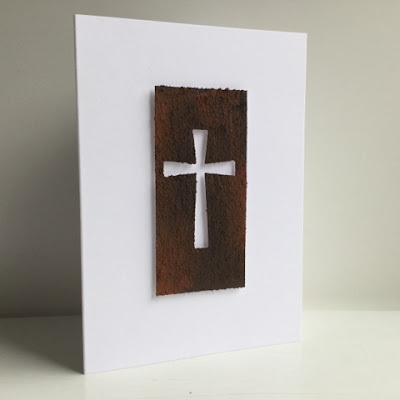 Evelyn said: This invitation card is so very elegant, although it is so simple! I love, how the created rust comes into focus. WOW Fantastic work all around! Congratulations - your badges will be on their way soon, and we hope you'll display them with pride. Great choices, Evelyn! Congratulations to all the winners--these are gorgeous projects and so deserving of being recognized! 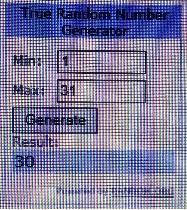 Congratulations to all the winners, and thanks for choosing my creation! Congratulations to everyone, I can't believe I was chosen... thank you so much and I am honored.